Earlier this week it was announced that Dave Snowden - who served Costa Mesa with distinction as Police Chief for almost seventeen years, then retired and moved on to become Police Chief of the Beverly Hills Police Department until he recently retired from that position - has accepted a new senior advisory position with Englander Knabe & Allen, a Los Angeles-based Public Relations agency. We here at A Bubbling Cauldron wish our friend, Dave Snowden, all the best in this new job. From the description provided, this seems to be a perfect fit for him. You can learn more about that organization HERE. The following is the text of their press release. Los Angeles, July 27, 2015 - Retired Beverly Hills, Costa Mesa, and Baldwin Park Chief of Police Dave Snowden has joined Englander Knabe & Allen as a senior advisor and will head up the firm's new Law Enforcement Executive Search and Training Practice. Mr. Snowden will also work in the firm's existing law enforcement practice group as well as work on crisis management, media training, and consulting on pension issues. Mr. Snowden grew up in Montebello and attended California State University Fullerton. He began his law enforcement career in Montebello in 1966. For the past eleven years, Mr. Snowden had been Police Chief for Beverly Hills, and on June 13 he retired from law enforcement. Throughout his distinguished career, Mr. Snowden has been a valuable public safety asset for the cities of Montebello, Baldwin Park, Costa Mesa, and Beverly Hills. After only six years into his law enforcement career Mr. Snowden attained the rank of sergeant. In 1980, Mr. Snowden was selected Chief of Police for Baldwin Park and served as Chief until 1986 when he was selected as Chief of Police for Costa Mesa. "Dave's extensive experience as a law enforcement veteran and as head of several police departments brings a unique perspective to our firm. His expertise and knowledge are a welcome addition to our team. Although he will not be involved in anything in Beverly Hills, Dave is uniquely suited to head up our newly created Executive Search and Training Practice and work on various pension and crisis management issues and provide media training for our clients. I am delighted he joined the team at EKA", said Managing Partner Harvey Englander. With over 38 years of experience in leadership management and public safety, Mr. Snowden is a respected member of the Southern California law enforcement community. 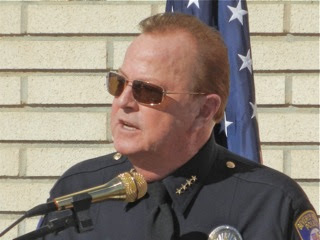 Mr. Snowden was President of San Gabriel Valley and LA County Chiefs Association, Orange County Chiefs and Sheriff's Association, California Police Chiefs Association, the League of California Cities Police Chiefs Department, and Beverly Hills Police Foundation, and director for California Police Chiefs Association and Los Angeles County Peace Officers Association. For 12 years in a row, Mr. Snowden was voted as among the top 103 most influential people in Orange County by the Daily Pilot newspaper and voted volunteer of the year in Orange County, 2003. Mr. Snowden is a recognized public figure who works within his community on several charitable organizations such as USO Metro, PenFed Foundation, Hoag Hospital, Orange County Blind Children's School, and the Beverly Hills Active Adult Club. Mr. Snowden has several years of leadership volunteer experience for groups such as the Hoag Hospital. Mr. Snowden served as President for the Hoag Hospital's 552 Club and the President's Circle and as director for the Hoag Hospital Foundation. Lastly, he is an active volunteer for New Directions for Veterans. Dave can be reached at dave@ekapr.com or (213) 741-1500 Extension 595.